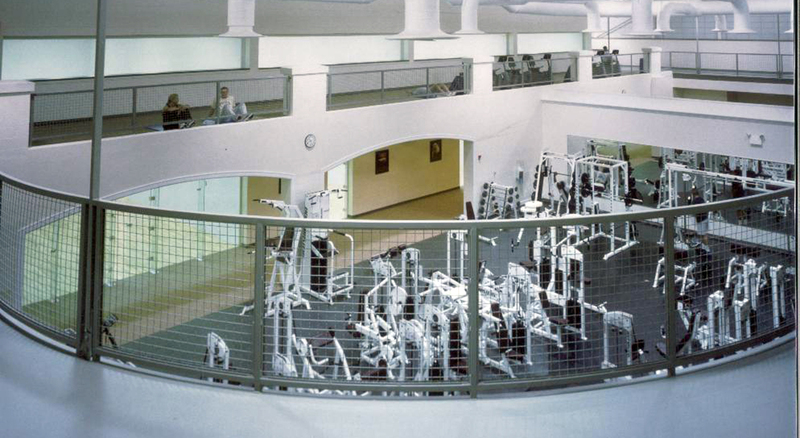 The new physical fitness center is a 57,000 square foot facility. Environmentally conscious design played a major role during Design Development and Construction Document phases of the project. 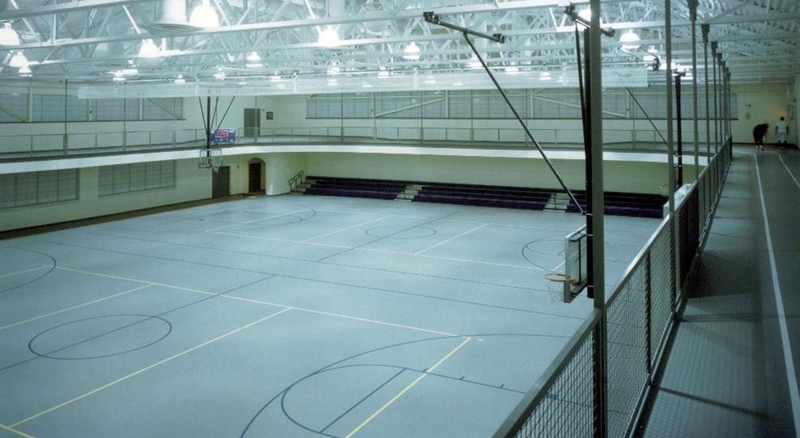 The facility has a gymnasium with two basketball courts and bleacher seating for 400 spectators, four racquetball courts, aerobics room, nautilus room, free weight room, cardiovascular room and fitness testing. There is a second level indoor running track, locker and shower facilities as well as administration and support spaces. The parking areas will accommodate a total of 100 cars. The site plan is designed for a natatorium, basketball, tennis and volleyball courts, soccer field, track, and fitness trail in the future. The site is in the base’s “Community Center” and is directly adjacent to the historic district. 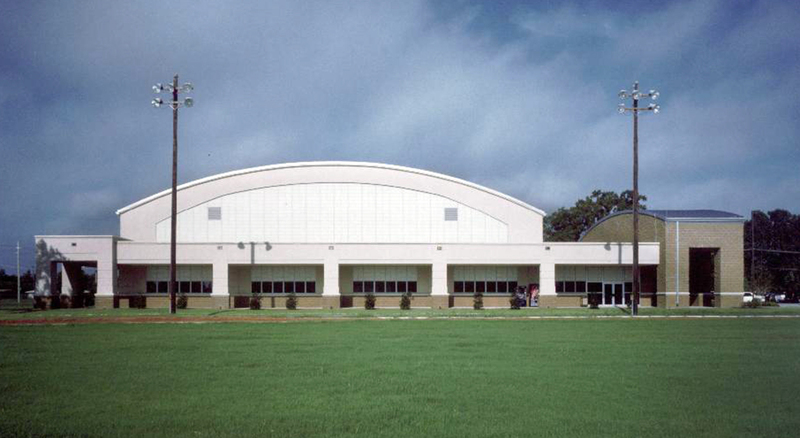 The project is designed in accordance with the guidelines as described in the “Architectural Compatibility Standards for Barksdale Air Force Base”. It is also designed to comply with the Secretary of the Interior’s Standards for Rehabilitation and Guidelines for rehabilitation historic buildings. The building is designed as a transition from the historic district to the more eclectic “Community Center”. The building references historic ornament and detail as one way of connecting it with the historic district. The tripartite facade organization creates a traditional sense of balance similar to buildings in the historic district.